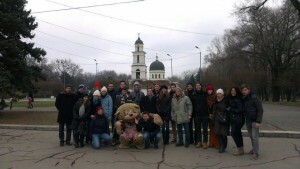 Local of the Month of December is AEGEE-Chișinău, the only Moldovan local we have in our Network. Despite being a rather small local, they have had a month full of events and recognition, organising a LTC, helping the Election Observation Project with their mission in Moldova for the parliamentary elections and hitting the 13th place overall in the Summer University ranking. We spoke with Aliona Ciorba, the secretary of the board, to understand this antenna better. 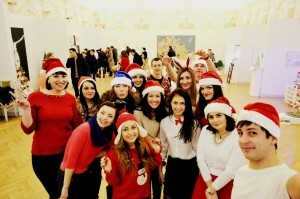 Aliona: AEGEE-Chișinău was founded in 1996 and after a little pause its activity was restarted in 1999. This was the year when the first Summer University in Moldova was organised and in 2014 we celebrated the 15th anniversary of Summer University in Chișinău. Currently, in our antenna there are 28 cute members and 6 cute board members namely Andrei Dodita (President), Lucia Gori (Vice-President), Aliona Ciorba (Secretary), Diana Gorita (Treasurer), Ana Gancearuc (HR Responsible) and Maria Chiper (PR Responsible). How does it feel to be elected Local of the Month? Being elected Local of the Month makes us feel very enthusiastic and that our work is finally appreciated. We think we had a good AEGEE year and the greatest result for us is that our Check-in in Moldova Summer University was ranked the 13th from all the 80 Summer Universities. I remember before the organisation of the SU one of our members was saying that “it is not possible, we have no sea, no mountains to attract the participants and make the SU more interesting”, but here we are proving that when you have a great desire, everything is possible and we managed to establish a new record for Moldova in the Summer University project. We really hope that the new board of AEGEE-Chișinău will exceed the previous board and will have even better results! As you said before, according to SUCT list, your Summer University Check-in in Moldova achieved a remarkable 13th position. What do you think most impressed your participants? 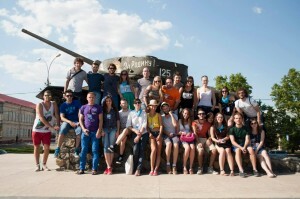 We think that the participants liked overall the activities and the organisation of the Check-in in Moldova Summer University, and secondly, the good connections with the organisers. The members of AEGEE-Chișinău befriended the participants and made them feel very good and enjoy even more the time spent in Moldova. What is the secret for a small local to succeed in a Summer University? The secret for a small local to succeed in a Summer University is first of all the belief that everything is possible and that we can do it. 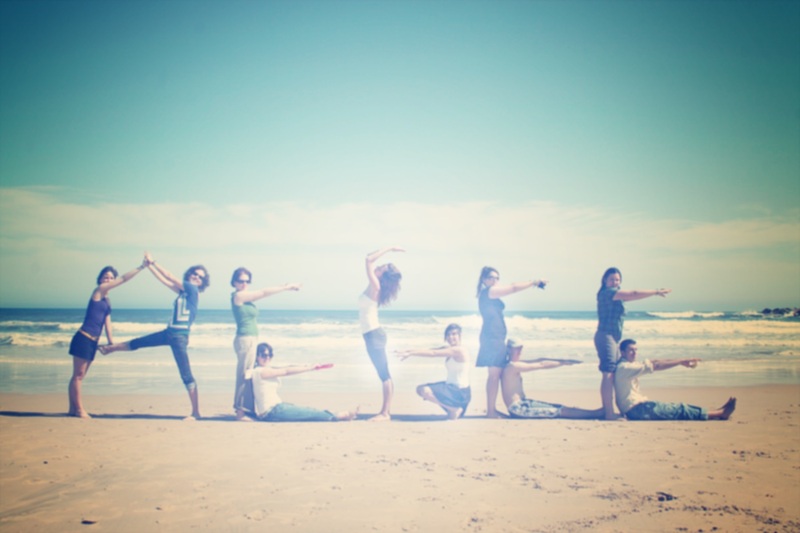 Secondly, a big wish to make a great Summer University. Thirdly, knowledge, experience, a good concept of SU, a team and, last but not least, positive participants. Without all this you cannot manage! Your country recently had elections and you helped the Election Observation Project. Which kind of impact has the project had on your local? Do you think those elections had an impact on young generations? On the 30th of November the parliamentary elections of the Republic of Moldova took place. We were pleased to support the Election Observation Project of AEGEE and help its members, because we believe the parliamentary elections had a direct impact on the future of our country. We, as citizens, wanted our elections to take place in a democratic and correct manner, hence, we welcomed the observation mission with big enthusiasm. The Election Observation Project of AEGEE did a great job and we are very happy we took part in this important mission. You organised a Local Training Course. What were the topics? And what were the outcomes? The LTC of AEGEE-Chișinău took place shortly after the recruitment process of new members in the association. The main purpose of the training was making an introduction and explaining AEGEE. The trainers of the LTC were experienced members that could give more extensive information about any body, activity or project of the association. Besides this, we presented the Summer University Project, as it is the longest lasting project in the association’s history, and organised several workshops and even a quiz. And last but not least, we tried to organise the LTC in such a manner that we could show and transfer to the new members the enthusiasm and love that we have for AEGEE and to inspire them. We consider to have succeeded in this and, as a result, the new members desired to discover more about the association and actively participate in the activities of the local. What are the new projects of the locals? 2015 seems to be a busy year for AEGEE-Chișinău because we plan to do a lot of projects and activities. We plan to establish a new record for AEGEE-Chișinău by organising The hottest Summer School SU 2015, which besides being the hottest Summer University of AEGEE will also let the participants experience a new concept of upside down school with teachers of the most unusual subjects that will throw their summer downside-up. Moreover, we will organise 4 seasons, 3 reasons, 2 countries, 1 story! Travel Summer University 2015 in collaboration with AEGEE-București , which has an amazing itinerary and will let the participants discover two colorful countries: Romania and Moldova. The program will include everything: from urban locations (two capitals: București and Chișinău, which are two totally different cities), to mountains, sea and beautiful nature. Thridly, we plan to organise a local project which will develop the subject of Europe, European Union and the European projects and opportunities for the Moldavian youth, in order to encourage them to take an active role in the society, broaden their knowledge, and create awareness among young people. We hope these projects will have a positive impression on the participants. ← The Academy and AEGEE-Utrecht teaming up again for SES 2015!